Public transportation has a lot of upsides: Beyond freeing you from the hassles and expenses of driving, trains and buses are also better for the environment. Of course, there are plenty of downsides too: The scheduling, the often circuitous routes, and the unpredictability of your fellow passengers… and their smells. With that last problem in mind, KFC Japan decided it wanted to do its small part to be less nasally intrusive on the subway—releasing a low-odor take on its classic fried chicken. 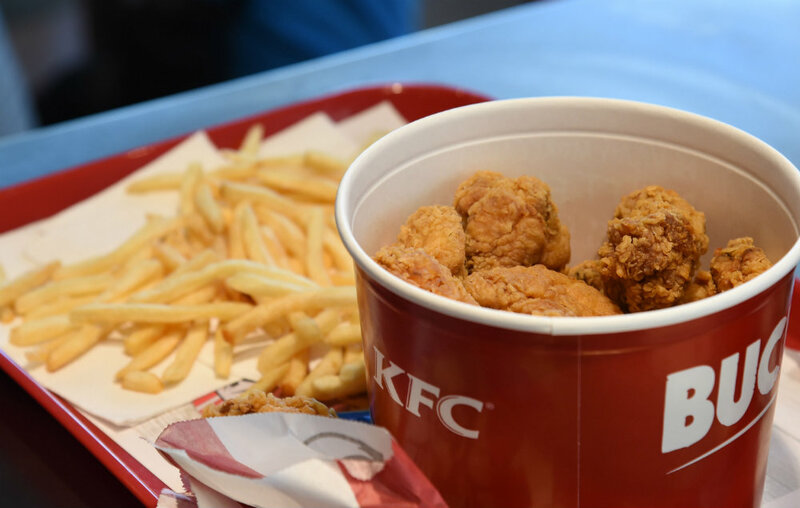 As we discussed last December, eating KFC has become a huge Christmas tradition in Japan. Understanding that with such great power comes great responsibility, the chicken chain decided to try out a less-intensely-scented product called “Fried Chicken Home Type” which is being sold exclusively at a takeout-only, December-only KFC location at the Shinjuku subway station in downtown Tokyo. The idea is that commuters can grab this two-piece, fried chicken to-go box for 500 yen (about $4.50) and hop right on a train without any worry of offending fellow passengers. Think of it as a chance to enjoy your own holiday without ruining anyone else’s. That said, it does sound like if you take this Fried Chicken Home Type out of its packaging to eat on the train, fellow passengers might once again be able to get a whiff of it. But hey, if eating on the subway is your thing, worrying about being polite probably isn’t.